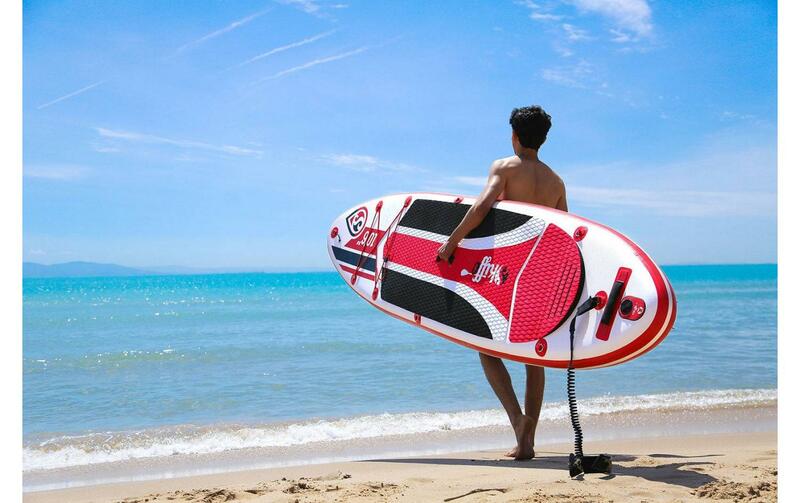 Introducing our new and stylish Skiffo SUP range a very high quality product brimming with endorsements from many professional paddlers, please view our shop for more contemporary and stylish boards from our brand partners Skiffo. 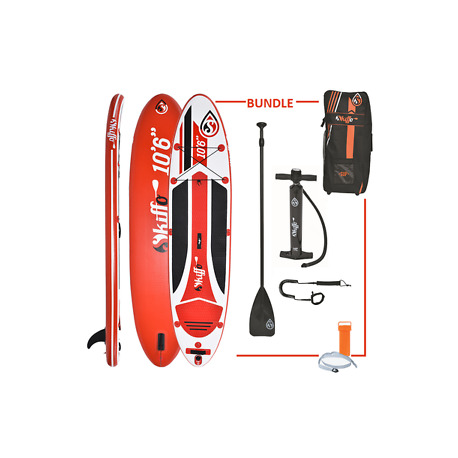 The Skiffo Lui 10ft 6" is a brand new high end quality paddle board new to our SUP collection for 2017. 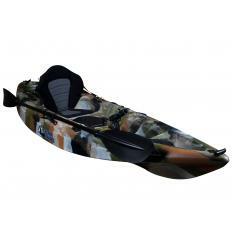 This inflatable stand up paddle board is a much more dynamic board best suited to exploring, fitness or general paddling. 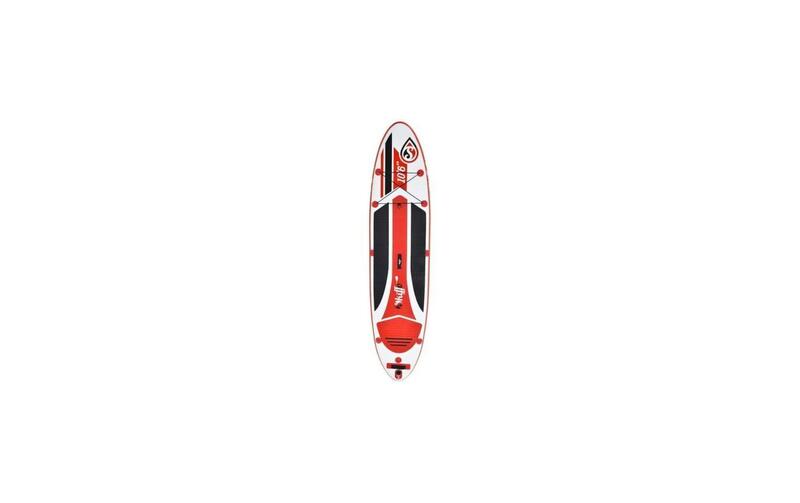 The boards 6” thickness and double skin gives a more balanced design and suits both lightweight and heavyweight riders up to 120kgs and the deck is impressively solid for stability and durability with its double skin construction. What's great about a 3.20 metre inflatable board is you can simply roll it up and stow it in the boot of your car, and is also compact enough to take on most airlines as hand luggage. 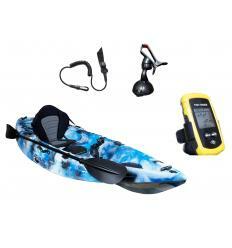 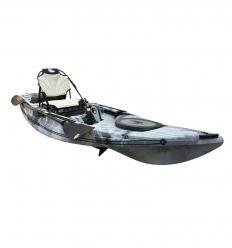 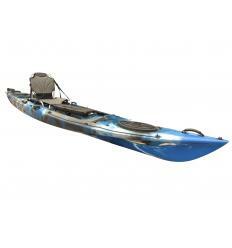 The Skiffo Lui 10ft 6" is a new revolution in design and comfort. 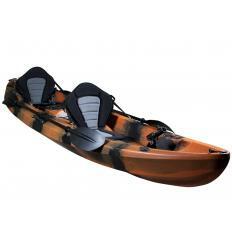 The Skiffo push pull valve system has been added for quick inflation/deflation, the double skin is a unique 4mm thick premium Eva pad with a non-slip "croco" style finish. 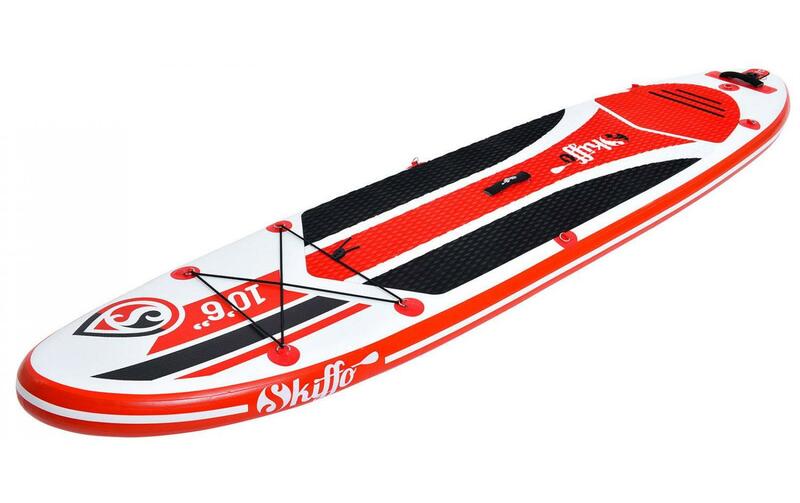 The Skiffo Lui 10ft 6" features a solid and durable 6” double-wall drop stitch core material with extra layers of lamination post inflation, giving extra stiffness and blocks air leakage. 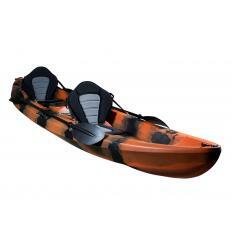 Its heat embossed, diamond grooved EVA deck, giving maximum non-slip traction and durability. 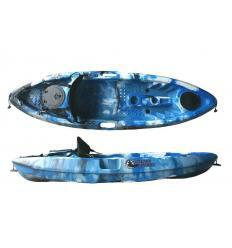 To the underside you will find a single slide-in fin to help you guide and manoeuvre in almost any water condition. 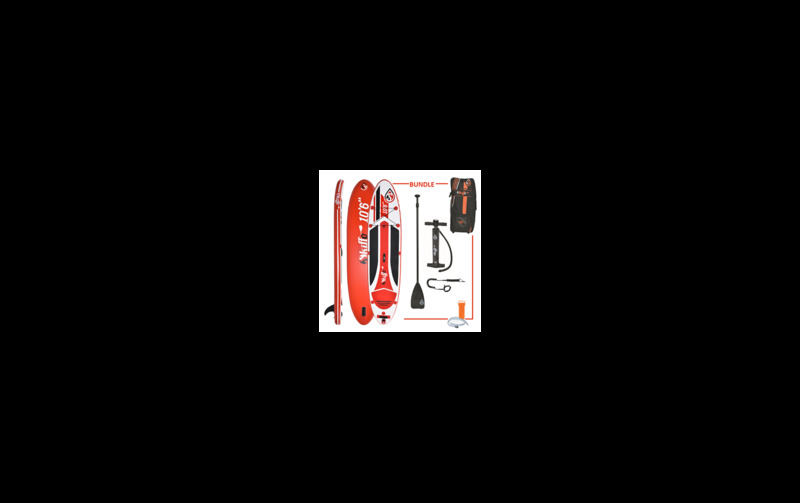 Included with this board is 1 central slide-in fin, a high pressure hand pump with integrated PSI monitor for fast inflation, MAGIC backpack carry bag, pressure gauge, repair kit, and an aluminium sport paddle and super tough paddle leash.